Because of the excellent disinfection and oxidation qualities of ozone, it widely used in many water treatment applications. Each of these applications has various uses and methods for implementing and applying ozone. See links on the left side for additional details on each specific ozone water treatment application. Ozone has a wide variety of uses and applications in water treatment. Ozone can be used as a disinfectant, decolorizer, deodorizer, detoxifier, precipitant, coagulant and for removing tastes. Consequently, the use of ozone should be considered when there is a need to address any of these water issues, and particularly when there is suspicion of water born pathogens as ozone is such an effective biocide. Ozone is a green water treatment alternative lowering chemicals and reducing by-products and new residuals in water. As ozone breaks back down to only oxygen there are no residual remaining in the water after ozone water treatment. Ozone can also lower chemical requirements as ozone coagulates and precipitates many substances by itself, and is also a reasonably effective flocculant. Because of this, it can reduce other chemical requirements in treatment facilities. Oxidation with ozone is efficient can lower chemical costs and overall energy consumption. Ozone is the most powerful and effective broad spectrum microbiological control or disinfecting agent available. As an example, for the inactivation of Giardia cysts, the Ct (concentration & time) is about 100 times greater for free chlorine than for ozone. With viruses, the Ct is about six times greater for chlorine than for ozone. For Cryptosporidia, ozone is the number one, recommended disinfectant by the US EPA due to efficiency in inactivation. Ozone is safer to use than alternative chemicals. , there is less need to add high concentrations of a long-lived poison to the water that may soon become drinking water. When ozone is implemented in drinking water treatment, the chlorine demand is greatly reduced, as it is then needed only as a way to provide a residual in the distribution system at low levels. This minimizes the potential for producing carcinogenic THMs, and other chlorine by-products. Ozone may also lower overall chemical consumption due to it's ability to disinfect without adding other chemicals which may later need to be removed. In 1995, the World Bank estimated that contaminated water causes ten million people (10,000,000) to die annually and is the reason for 80% of all illnesses in developing countries; and that one billion people (1,000,000,000) have no access to clean drinking water. Considering all the benefits and lack of drawbacks, ozone is a good choice for many water treatment applications. When can Ozone be Used in Water Treatment? Ozone can be used to oxidize virtually anything that is oxidizable. Ozone can combine or react with all elements except Inert Gasses. Any molecule that is not in its final state of oxidation is subject to oxidation by ozone. Even some completely oxidized molecules may react with the radicals and other initiated reactions caused when ozone decomposes in an aqueous solution. Ozone can normally be utilized in water treatment wherever Chlorine (Cl2), Chlorine dioxide (ClO2), Potassium permanganate (KMnO4), Ultraviolet light (UV), Hydrogen peroxide (H2O2), Oxygen (O2) or aeration are used or considered for use. Also, ozone is very compatible with, and can be used in conjunction with other treatments, as in the Advanced Oxidation Processes (AOPs), for special cases or problems. Ozone is noted for its ability to reduce the molecular weight of molecules, whether from the cell wall of a bacteria or from a carbon source that causes water coloration or poor taste. What Can Ozone Treat In Water? If it can be oxidized at normal temperatures and pressures, ozone can treat it. Water treated with ozone may need to be filtered or settled, as ozone tends to coagulate and precipitate many impurities in the water. Essentially, problems in water quality that are usually addressed with acid, peroxide, chlorine or other oxidants are probably prime candidates for ozone treatment. If ozone cannot be used to treat a water quality problem, it is likely that no other available oxidant will to do the job either. The use of ozone in combination with UV, or hydrogen peroxide creates an Advanced Oxidation Process (AOP) to create the Hydroxyl Radical (OH-). This is an even more powerful method of oxidation than ozone alone. There are no contaminates that can be oxidized that will not be oxidized by this process. This website will try to give a brief overview of ozone application in as many water treatment applications as possible. 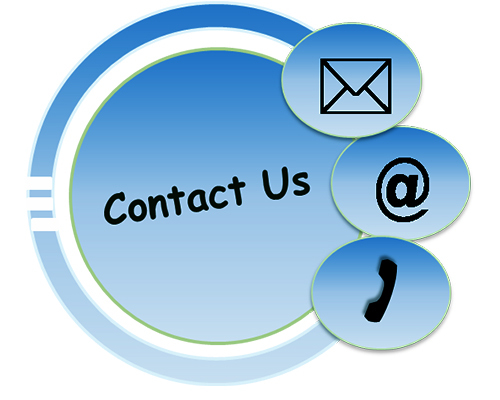 For questions about your specific water treatment, please contact our office, we would be glad to help.